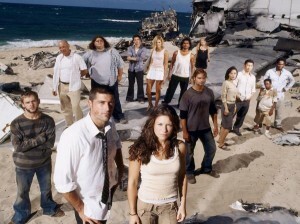 Below is a list of my top five favorite episodes from Season One of “LOST” (2004-2010). The series was created by Jeffrey Lieber, J. J. Abrams and Damon Lindelof; and produced by the latter and Carlton Cuse. 1. (1.23-1.25) “Exodus” – This season finale served as a transition in the series’ narrative, as an expedition sets out to find dynamite to open the hatch recently discovered by castaway John Locke. 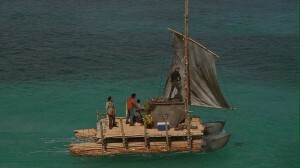 And the raft planned by Michael Dawson finally leaves the island with him, his son Walt, Jin Kwon and James “Sawyer” Ford, resulting in unexpected circumstances. 2. (1.17) “. . . In Translation” – This episode featured Jin Kwon’s backstory in flashbacks and the further disintegration of his marriage, when he discovers that his wife Sun had learned English behind his back. 3. (1.04) “Walkabout” – While Locke and a few others set on a hunting expedition to find boar for the other castaways, his flashbacks reveal his reason for being in Australia. 4. (1.11) “All the Best Cowboys Have Daddy Issues” – Jack Shephard leads an expedition to find two castaways that had been kidnapped in the previous episode. The episode’s flashbacks reveal the events that led to Jack being responsible for his father’s dismissal from the hospital they worked at. 5. (1.19) “Deus Ex Machina” – In their search for a means to open a hatch they had found, Locke and Boone Carlyle find a Nigerian small plane. And their discovery leads to tragic circumstances. In the flashbacks, Locke meets his parents for the first time, who prove to be major disappointments.